Boxing is a physically and psychologically challenging sport! A boxer requires both upper and lower body strength as well as an extreme level of cardiovascular endurance. A boxer must withstand the punishment inflicted by an equally conditioned opponent and be capable of training his mind to be as hardened as his body. Regardless of your prowess and physical condition a time will come inside the ring when you are tired! You will be hurt but still have to continue fighting for the win. There is no timeout in boxing; you must fight until the bell rings! You of course have the option to quit but a real fighter never will. Real fighters fight regardless of the circumstances facing then inside the ring. The mind is a powerful! A boxer must learn to control it. Every boxer realizes the importance of running, dieting, and training hard in the gym. Why then are some boxers in amazing shape while others appear to have just rolled in off the barstool? The answer is found within the psyche of the fighter – the level of his mental discipline! It is easy to cheat on your diet! It is easy to skip your run! It is easy to not do that last round in the gym! It is hard to be a winner! Mentally you must be strong if you are to succeed in boxing. No one can make the decision for you to be great. The decision must be made at the individual level. 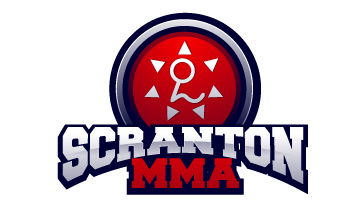 Your trainers are the best in the area but none the less can still only be as good as the students they train – the Scranton MMA trainers can provide motivation and advice but ultimately the decision to rise above and win rests in the hands of you the fighter. When you decide you want to step inside the ring your mind must take over. You must begin to make boxing your sole purpose in life. You must eat, sleep, and breathe boxing. If you don’t, rest assured someone else is – maybe your opponent. This is not a sport you play. This is a sport where you can get hurt. It is a sport for warriors; those who are strong both mentally and physically. Those that will face fear and doubt and sneer; but not without dedicated training, sacrifice, and experience!